CLICK HERE to watch the announcement video from Washington, N.C.
Raleigh – Today, the North Carolina Democratic Party announced a new initiative to listen to, hear from, and bring change to North Carolina’s rural communities. The Rural NC Listening Tour will focus on communities that have been left behind by today’s economy and will include honest discussions about the priorities of rural North Carolina and how Democrats can earn their vote this fall. Chairman Wayne Goodwin launched the Rural NC Listening Tour yesterday in a visit to Washington, Bertie, Chowan, and Beaufort counties. 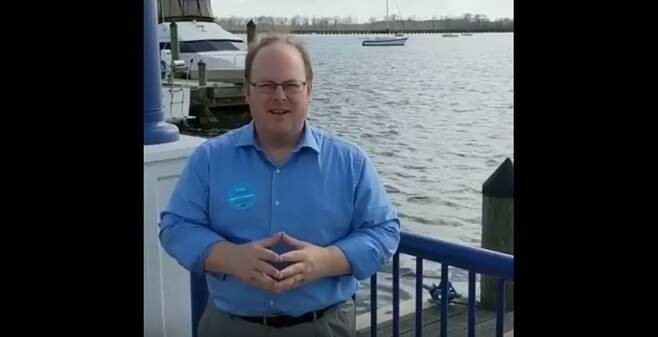 His stop included a lunch time listening session with voters in Beaufort county, a tour of the revitalized Washington waterfront, sit down discussions with editorial boards of local papers, and a town hall meeting in the historic Chowan Courthouse. At each stop, Chair Goodwin discussed our Democratic values including opportunity, community, and diversity, and recommitted our party to discussing kitchen-table issues that affect every single family across North Carolina. Governor Cooper has already made rural North Carolina a priority for his administration by committing to support local economies, improve infrastructure, and strengthen rural communities through economic development, broadband access, and workforce training. The Rural NC Listening Tour reflects those values. The tour will include events such as town halls, lunches, round table discussions, tours, backyard barbeques, and meet-and-greets with rural leaders and the public. The next Rural NC Listening Tour stop is planned for March 6th to hear from Wilson county, Pasquotank county, and the Outer Banks, with another stop planned in late March for southeastern NC.